You PINK TAG your bag, when you de-plane, NO BAG! O’ no what next? So you’re boarding your flight having arrived in plenty of time to get through security, visit the lounge, and walk unhurriedly to your gate in time for your zone when you’re presented with one of those lovely pink tags and instructed to leave your carry-on to be checked plane side and go to the last row on a CRJ. Have you ever felt slightly uncertain about this process? Ever wondered what to do if, on arriving, your plane side checked bag fails to appear when you went to collect it? On a recent flight from MSP I was somewhat amused to hear on the way to the gate over the PA repeated again and again for a passenger to return to her arriving gate, and then to observe said frantic woman huffing and puffing after having taken the wrong pink tagged bag. Yes she had to run back to that gate to return the five finger discount pilfered bag in exchange for hers, and then run back to her departure gate in time for the flight. It made me think, and thus today’s post. I have talked a lot about luggage and have two posts listed for you in the “Essentials” tab above. While some may plan to plane side check a bag as a means of avoiding bag fees, many other times this practice is not the preference of the passenger but due to overhead bins already filled or change of aircraft resulting in space too small to accommodate the bag. Obviously if you brought these items in the bag with you on-board, you’d prefer to keep them with you as you travel. What are your rights if the airline loses or damages it? Or what if it just walks off with another passenger? Well now that I’ve got you worried, don’t be. It is in fact covered in Delta’s contract of carriage on page 40. If you have a smartphone, this pdf is a good thing to download into your phone for handy reference for not just this but other situations. In checking into this I found several complaints from passengers who had plane side checked a bag and subsequently had it go missing in action in a variety of circumstances. 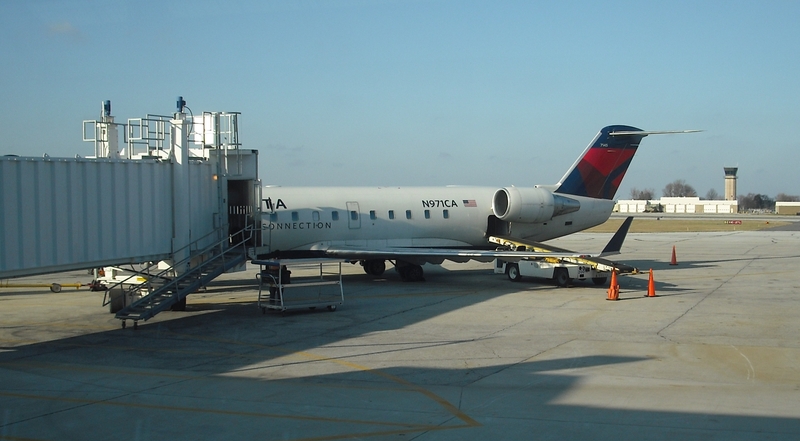 Several encountered denial of responsibility by Delta since the flights were operated by Delta connection carriers. 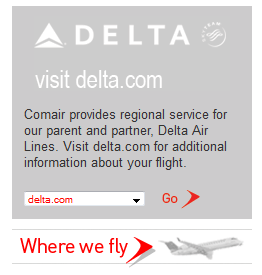 In the end, even if you were on a regional jet carrier like Comair, they all point you to Delta.com and the official contract of carriage. So ultimately Delta will be the one liable if the bag is lost. Only had to do it once, but everything turned out ok. I did have the seat next to me empty though; wish I could have just strapped it in there! Haven’t had this happen to me, yet… but in the past I was a bit paranoid about this possibly happening since I had one of the most typical bags in black (before I achieved elite status and got eye-catchy Gold baggage tags). In fact a number of airports nowadays no longer verify that the code on the baggage receipt is the same as that of the baggage tag (a very labour-intensive process)… so it’s basically an honour system (although there are cameras). Have not had a problem yet. I have several really identifiable luggage tags. I always double check them. I’ve never has a bag disappear. I had my gate checked bag taken at JFK. There was one bag left that bore a minimal resemblence to my bag (it was the same color but twice the size and much nicer than mine). Amazingly, the gate agent told me to take the other persons bag and make the trade myself. The lady who took my bag had no idea until I called her. Never had a pink tagged (valet tagged) not show up…. BUT I have seen a lot of people who waited right at the jetway when in fact the jetbridge has its own special motorized shelf/compartment much farther up the jetway where the pink tagged bags are actually delivered. I hate plane side valet. My carryon will fit even a 200 overhead and it annoys me when an agent tells me otherwise. But I live on. 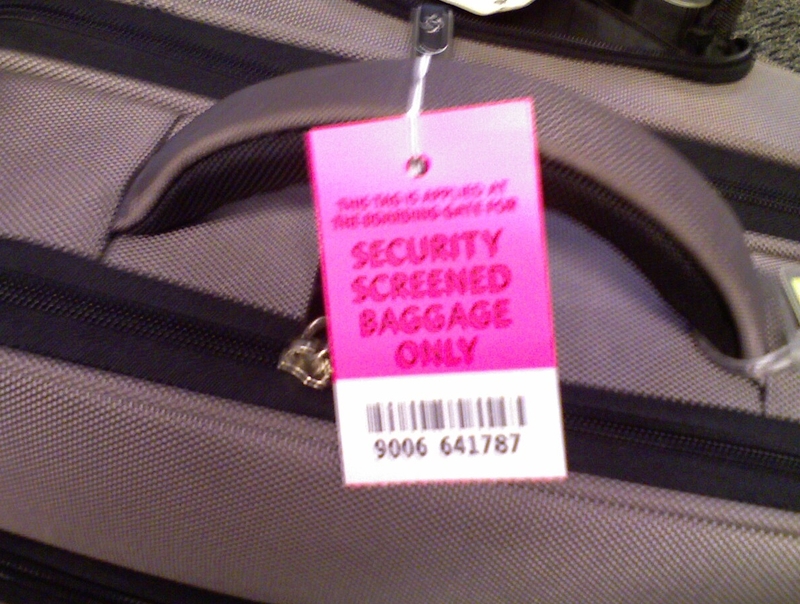 Never had a pink-tag go missing, but my luggage was flat-out stolen off the carousel in SLC three weeks ago. Amazingly, the police tracked it down within a day to an Idaho man, and I got the bag back – minus a few items – that night. That guy’s now been charged with a 3d Degree Felony. The lesson here is really two things – first, I don’t think Delta would’ve been responsible for the bag because it came off the plane and was on the carousel when it was stolen. I think it’s just your insurance that would cover that, as plain theft. Second, I got to go up to the airport ops center and review surveillance video. The video inside the baggage claim area is amazing. I don’t know the exact resolution, but it’s very high. They have almost every inch of the claim area on camera and can track movement from camera to camera using time stamps. Once outside the terminal the cameras are a little less clear, but they can still track from camera to camera with time stamps. In my case, from camera to camera, they were able to track my bag from being lifted off the carousel, to being put in a car at curbside, to tracking that car out of the airport and ultimately grabbing a license plate from an external camera near the airport exit. Pretty amazing tech. Never had it happen to me and never grabbed the wrong bag. Since I fly a lot of regional jets from my home in Boston to airline hubs (usually Newark) to Mid-West airports for work, I purposely bought a really great bag in a vibrant and unusual color scheme(http://www.llbean.co.jp/img/goods/S/238052_35001_S.JPG) so that does not happen. Watched my pink tagged backpack not be put on regional jet on my return from Europe in 2001. Tried to alert flight attendant who could not do anything. Did finally get the bag two days later. It was quite frustrating looking out the window knowing my bag didn’t make it on the flight. Had to do this a few times, but never had a bag disappear on me. I have to agree with Rikki, I have started putting identifying items on my checked and gate checked bags to make it easy for other people to not make mistakes. I had a friend of mine a long time ago who came to visit me take the wrong bag out of the overhead bin on the plane, we figured it out quickly, but had to make an embarassing run back to the airport. Fortunately, I’ve never had an issue. Have only had to pink tag a bag a few times, but fortunately always got it back. We keep unique bag tags on both the top and side handles of all of our luggage to avoid someone walking off with it by mistake, even the carry-on bag that occasionally gets pink tagged. Took the wrong bag at baggage claim and had to meet up with someone the next day to exchange bags. When I was practically living in airplanes/hotels a few years ago I went and bought a really boring beige bag from Target at a killer deal. It really stood out like a big boring brown bag and never had issues finding it when trying to make a quick connection at EWR, CLE, IAD, CLT, PHL (CO/US airports). Now I have a bright blue bag again for the same reason. Gotta love the CRJs. My pink tag seems to come out last no matter when I board, but fortunately they have never lost it. I really need to get a unique bag tag. I had to chase a lady down the jet bridge once who grabbed my bag. A few years back, we traveled to Germany to visit some family stationed there. Since we had a toddler, we had to make use of this “service” for our stroller. The problem was that when we arrived in Germany, and waited at the plane for our stroller, the gate agent told us it would come out at baggage claim. I assured her it wouldn’t (shouldn’t), but eventually went there anyway. Our bags arrived, but our stroller didn’t and we had no way to get back to the plane to get it. Some time later, I saw said gate agent slink into the baggage claim area and drop the stroller on the baggage claim. I was really not happy. Mine was checked at JFK. Had camera inside. When I landed in BWI the rubber band that I used to keep zippers together was missing. I informed the FA immediately about that, told her about my Nikon and request her presence when I open the bag on the tamarack. Camera was missing. Submitted a claim. Got reimbursed for the camera (100%) plus 1250.00 for the bag content. Vowed to never do this again. Ive managed to dodge the bullet so far. So far I have dodged this bullet. I had this happen. I had the plane side check my bag and when I got off there was one bag left, not mine. So I asked and they opened the bag that was there and found a name and tried to page that person. No luck. So they said I had to go to baggage claim and talk to them. Baggage claim said they would find my bag and get it to me by the next day. How can they find it when someone else has it? They could have been going home and not even look at it for a while. I was on a short trip and that bag had everything I had brought with me on the trip, so I was worried. It all ended up okay, I got my bag the next day, but it made me think of haw to change the way I pack. In DTW going through this right now! Somehow the pink tag was torn off my bag in transit. Once this happens, they are not allowed to send the baggage up with other pink tagged bags due to security risk. If your name is on the luggage, they find your itinerary and check it on your next flight. If your name is not, I have no idea what happens. I’m just glad I had my name on my luggage!